ABOUT US | For hundreds of years, European wine growers have put their heart and soul into selecting grapes, harvesting and refining their yearly crops to create the perfect wine. A delicate work of decades which requires a lot of knowledge passed down through generations. When the bottle of wine finally leaves the winery it's not only the result of carefully selected grapes and hard work. It is the result of hundreds of years of history, heritage and endless passion. One single mistake in the production or aging process will ruin years of work but more importantly, several bottles of well-tasting wine. That is why we kindly ask you to store your wine as it deserves. Wine growers are specialized in growing the grapes and making the wine, but as mQuvée, we put our pride in creating the best possible home preservation solutions for your precious bottles. Our wine cabinets are made to perfectly replicate the conditions of a wine cellar, in order for your wine to flourish and age with dignity. In other words, when you store your bottles in a mQuvée you can always be certain that the bottles are protected from temperature changes, vibrations, sunlight, unpleasant odors and kept at an ideal humidity level. This is our way to share our passion. Passion for wine. Our products take account of wine growers golden rules for wine storage, to guarantee that you get the ultimate wine experience. That’s why you will always find wooden shelves, UV-protected glass doors and carbon filters in all of our wine coolers and wine cabinets. mQuvée – store your wine to perfection! 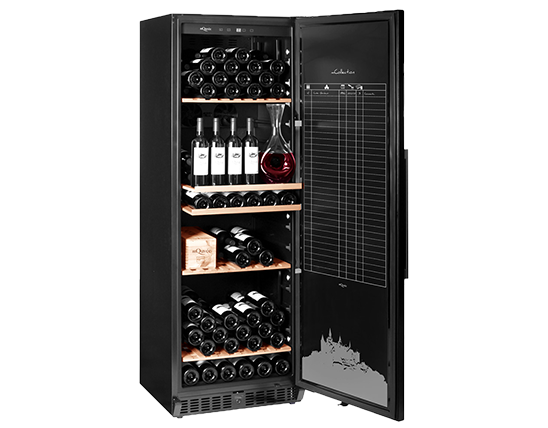 mQuvée free-standing wine coolers with space from 12 up to 192 bottles. These wine coolers are very silent and have stylish wooden shelves. Some wine coolers comes with presentation shelves and carbon filter (keeps unwanted smells away from your wine). 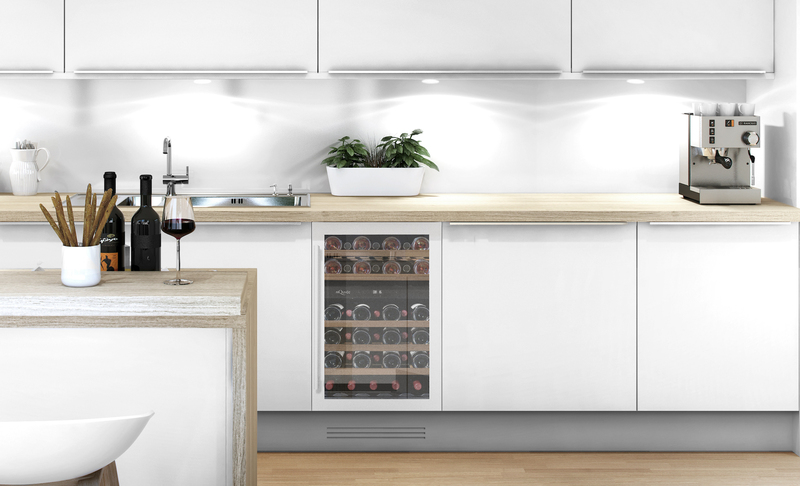 mQuvée built-in wine coolers with space from 7 up to 126 bottles. 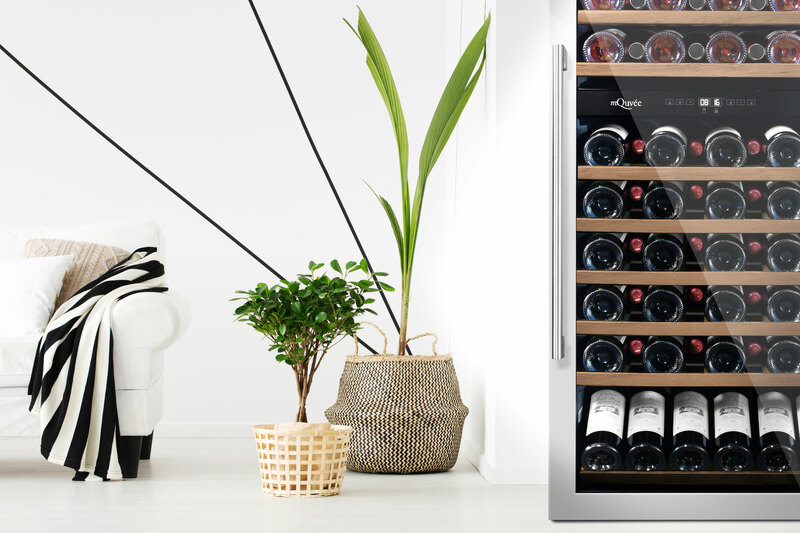 These wine coolers can be built-in under the kitchen counter and you can choose between stainless steel, black and white design. All the wine coolers comes with wooden shelves and you can choose betwen one, two or three adjustable temperature zones. Some of the wine coolers comes with lock and carbon filter (keeps unwanted smells away from your wine). 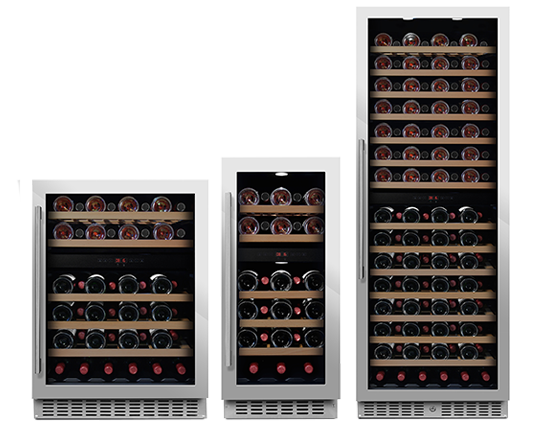 mQuvée integrated wine coolers with space from 28 up to 89 bottles. All the wine coolers comes with wooden shelves and some of the wine coolers comes with elegant presentation shelves. 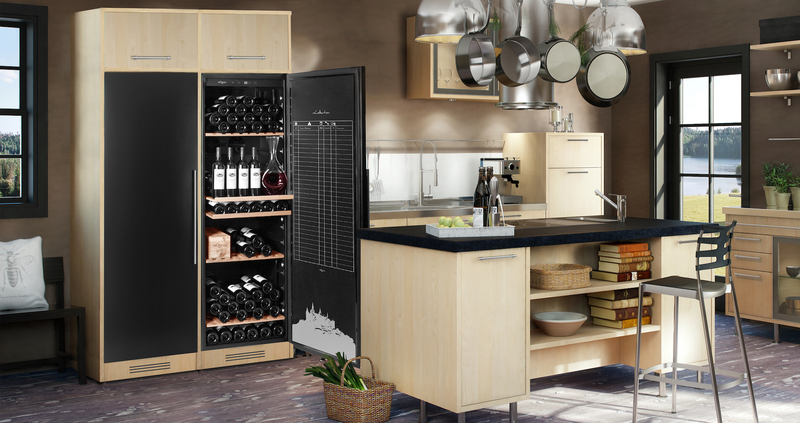 The integrated wine coolers are best suited for those who are in the process of building a brand new kitchen. Now you can finally design your own mQuvée wine cooler in many gorgeous colors. Depending on which wine cooler you choose, you can decide to only color the door, the door and handle or the door, handle and base. 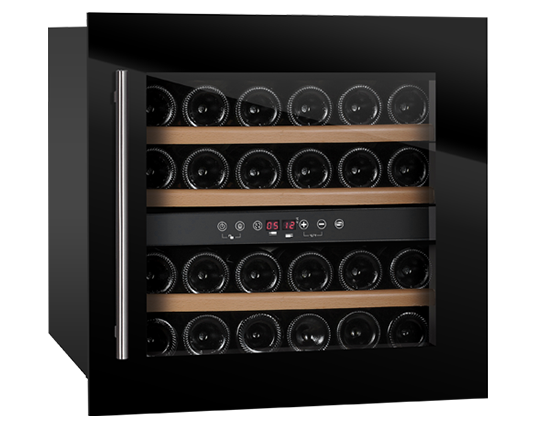 You also have the option to design your wine cooler from stand-alone, built-in or integrated models. You pick a wine cooler and colour code (RAL or NCS) and we take care of the rest. Unique freestanding wine storage cabinet with a wooden outer layer from mQuvée. A modern version with straight lines which is available in both white and black, depending on your prefer-ence. Store your wine in style – store it in a wooden wine cabinet from mQuvée! 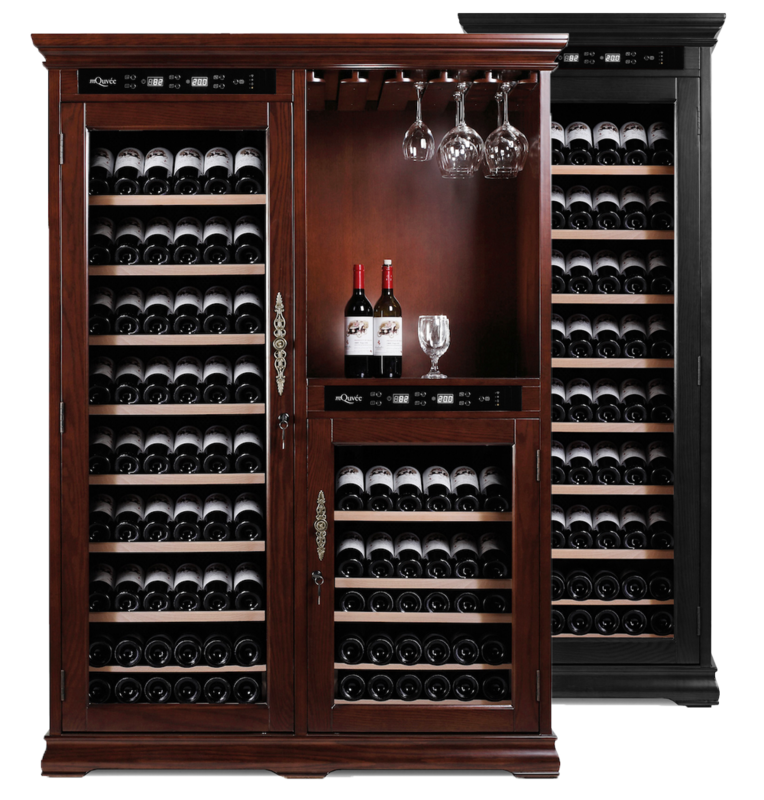 European made wine cabinets from mQuvée. 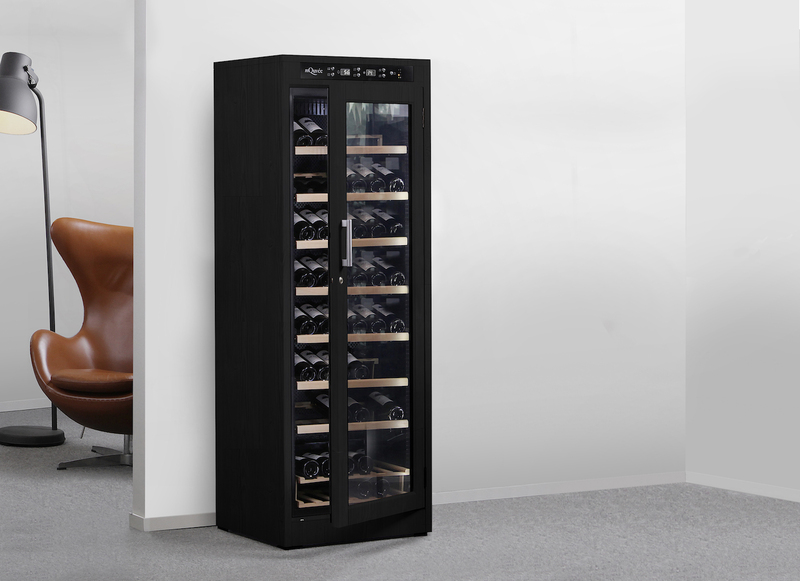 Unique wine cabinets with adjustable humidity, detail wine cataloguing sheet and stylish black design. 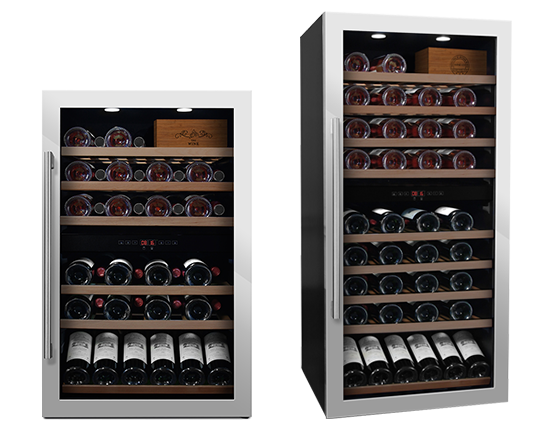 mQuvée wine cabinets with space from 70 up to 474 bottles. Use them as free-standing wine cabinets or as built-in under the kitchen sink. With a lockable solid door and luxury wooden shelves – you can be sure that your wine bottles are in the best possible enviroment! Wine storage cabinets in solid wood (American oak). 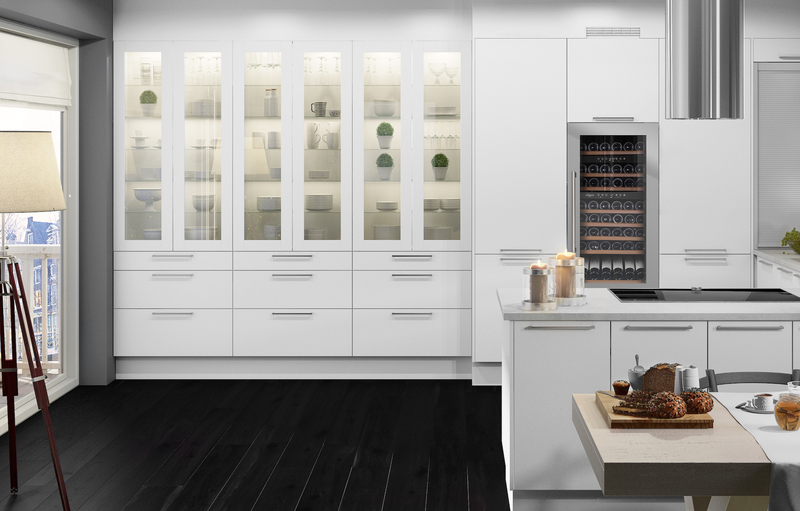 These wine storage cabinets provides the right climate for your favourite vintages and allows them to age under the ultimate storage conditions!